Designed as a drop-in native plugin, MagicSpam integrates directly into the SMTP layer blocking malicious traffic before it uses up valuable resources and bandwidth. 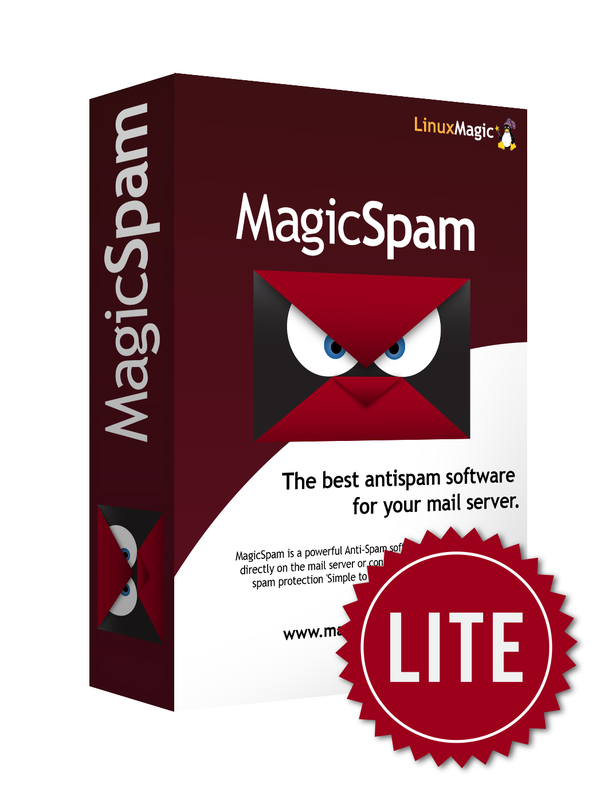 MagicSpam Lite provides a comprehensive set of tools to block spam at an attractive price for the smaller operator managing their own server. Take advantage of MagicSpam patented technologies, Anti-Spam Policies, Custom Whitelists and Blacklists, Inbound Rate Limiter, Statistics and Logs. Simple to Install, Simple to Use. Don't waste any time messing about with your DNS or Firewall settings, MagicSpam will immediately start protecting your server from the majority of spam right out of the box. Protect an UNLIMITED number of domains and mailboxes for one flat fee. BUY now and install MagicSpam on your server today!